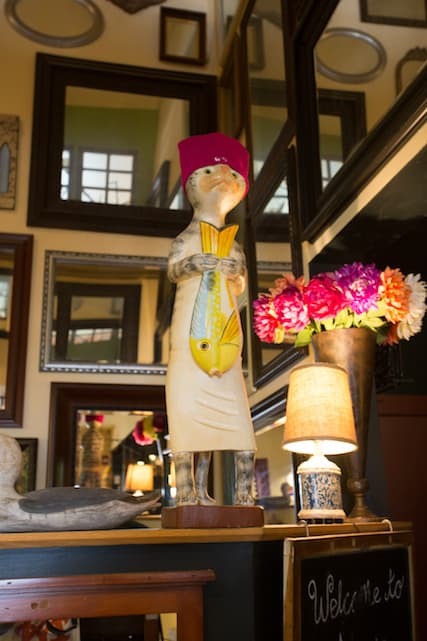 Alex's Bistro, Cooperstown, New York | Good. Food. Stories. It’s not often that I get a do-over on a restaurant I’ve visited on one of our many far-flung trips, but I’m always thrilled when I can try a good spot twice. And I’m even happier when I can turn a happily surprising discovery into a regular favorite. Dan and I had two days open to celebrate our fifth wedding anniversary. 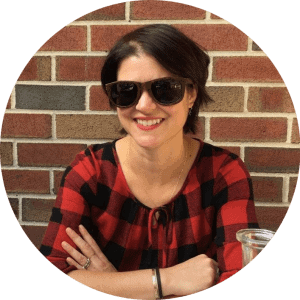 This was supposed to be a big milestone worthy of a few more fireworks than normal, and something about doing what we’ve always done to celebrate—pick a killer restaurant in the city and overeat to our hearts’ content—didn’t seem right. Horrible to say that a glitzy, glamorous meal in Manhattan felt claustrophobic, but it did. The city was closing in on us and I just wanted to get the hell out of Dodge. Somewhere within a few hours’ drive, somewhere not too pretentious, somewhere we could just breathe for 36 hours or so. With five days to go and no reservations made, the planner in me was getting desperate. Then Dan threw out a wild pitch: how about Cooperstown, New York? 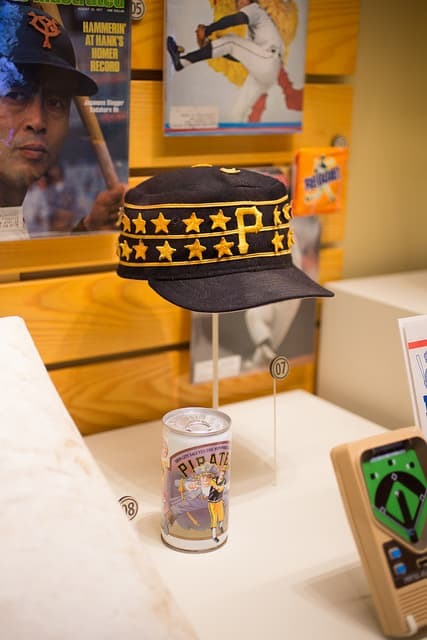 The meal at Alex and Ika, though part of a thrown-together trip, ended up being just as memorable and welcoming as seeing Willie Stargell’s star-studded pillbox cap in the Baseball Hall of Fame. So when we returned to Cooperstown 11 years later for Mike Piazza’s HOF induction, a return visit was a high priority. Sliding into two just-vacated bar seats (a true score when Cooperstown’s tiny downtown was overrun by induction-happy Mets and Mariners fans), we did as one should on a muggy, sports-centric summer weekend: wings and beer. Though the menu now featured more of an Asian-influenced lineup than the previously farm-to-table-focused fare, this was not cause for complaint. 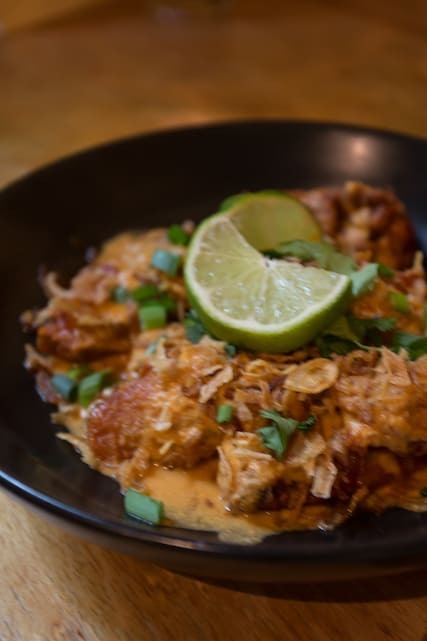 This just meant that the craggily fried wings came doused in rich coconut curry sauce with a tangy hit of lime and chili heat. Lavishly sprinkled with crispy shallots and aromatic cilantro, the interplay of flavor was spot-on. Even my wing traditionalist husband couldn’t find any fault with them. The beer, of course, was local: Ommegang’s Hennepin saison, a balance of hoppy and floral that complemented the wings’ heat, citrus, and rich sauce note for note. Now we’re sliding into a pattern. Returning to Cooperstown this past May for Homer Simpson’s HOF induction (yes, really), we put the wings back on the roster, along with a few more dishes to round out our menu explorations—this time with a few of the more standard selections for the table. Dan, ever the all-American eater, judges many a restaurant by the quality of its fries and mac and cheese. And, like the wings, he cannot find fault with Alex’s “serious mac and cheese”—described aptly on the menu as featuring three cheeses, butter and heavy cream—nor with the fingerling potato fries, molten missiles of fluffy taters paired with the requisite chipotle aioli. Knowing how generous the appetizer portions were, I knew I could be diving into something overwhelming with the pork belly ramen. 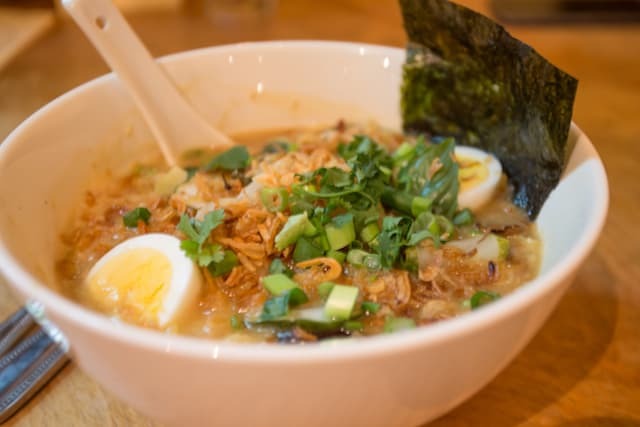 And yes, the deep pool of miso chicken broth was stuffed to the gills with goodies, so much so that I didn’t even discover the slabs of pork belly until I was halfway through the bowl and stuffed to my gills with the shrimp, egg, shiitake mushrooms, and soft noodles piled in there. Barring any last-minute announcement of a Nolan Ryan autograph signing, we’ll be skipping this year’s induction festivities, but I must admit I’m kind of hoping for a game-time decision. 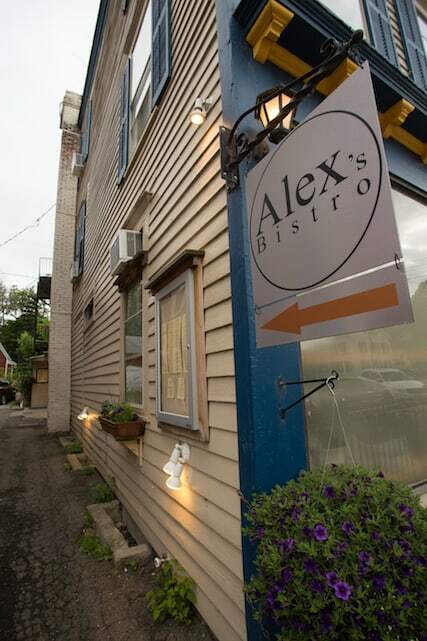 No matter what name is on its shingle, as long as it’s there, Alex’s Bistro will always be our closer in Cooperstown. Alex’s Bistro, 149 Main St., Cooperstown, NY. 607-547-4070.